Ranchi, January 24: Rescued cows will now have a purpose-built home in Jharkhand. 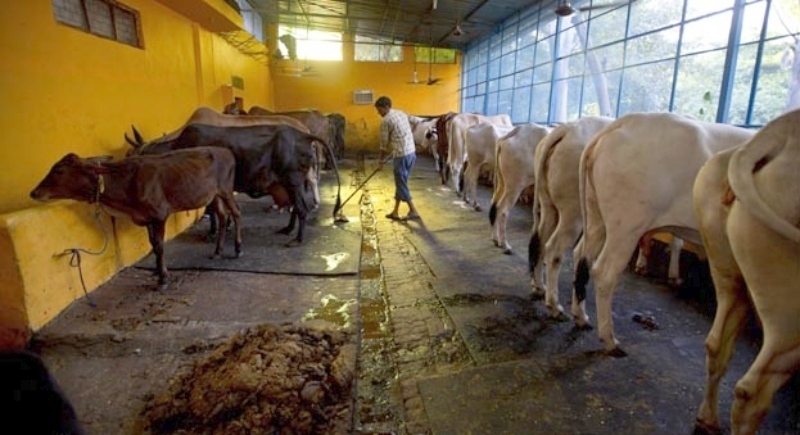 The state government has factored in a cow hostel, when planning the state’s budget for the fiscal year 2019-20; the hostel will mainly offer shelter to cows rescued from cattle smugglers, even stray cows will also find a home there. The Lohardaga hostel will have drinking water, cow sheds, and grazing fields, but Dr Shivanand Kansi, SAWB veterinary officer, said that managing fodder for the animals was an uphill task. This is one of the reasons why there are plans afoot to produce fodder on the premises of the Lohardaga hostel and also use cow dung and urine for commercial purposes to make the hostel self-sustaining. The board also plans to roll out 10 ultra-modern cow ambulances, each costing around Rs 18 lakh, across five divisions of the state. They will be fitted with hydraulic lifts to pick up injured cows and ferry them safely to a veterinary hospital.